Having established Bucci Laser Vision Cataract Surgery Center in 1998 - this year marks his 20th Anniversary. 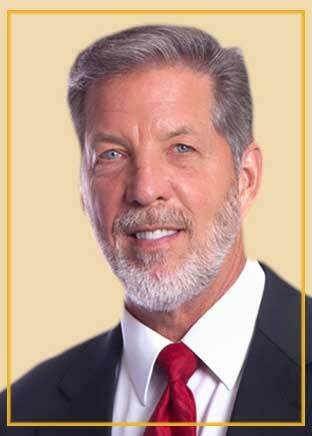 Dr. Bucci remains our sole surgeon who has performed over 55,000 procedures throughout the past 20 years. Dr. Bucci and his professional caring staff are dedicated to providing personalized service for each individual patient. Dr. Bucci has performed almost 28,000 microsurgical ocular procedures. We are 100% committed to excellence in eye surgery and the restoration of vision for each person seeking care at our eye institute in Pennsylvania. Our private cataract surgery center, located in Northeast Pa., is equipped with the latest technology, including the LensAR femtolaser. Todays advanced Cataract surgery has undergone major advancements since the surgery was first introduced. These advancements include an array of Intraocular lenses which provide high definition distance as well as multifocal lenses which correct distance, intermediate, and close vision. Frank A. Bucci, Jr., MD, our sole surgeon (named the #1 multifocal surgeon in Pa., Top 10 in the USA) has performed over 20,000 cataract surgeries, hundreds utilizing the advanced lenses which have allowed our patients to eliminate their bifocals. If you want to gain your vision back, give us a call or request an appointment with Dr. Bucci through our site! You may not think about them too often, but your eyes are an important part of your health. A few things you can do to reduce strain on your eyes are looking away from screens every 20 minutes or for 30 seconds, wearing protective eyewear such as sunglasses, and blinking more often. The most important steps to take in order to ensure the best possible vision are annual family eye exams. Verifying your eye glass prescription, contact lens fittings, and management of medical eye conditions such as dry eye and glaucoma. If you haven’t had a comprehensive eye exam recently, or are experiencing changes with your vision, call and schedule an exam with Dr. Lou Moriano or Dr. Alexandra Wasmanski. Frank A. Bucci Jr., MD is currently conducting several clinical trials. If you are 18 years of age or older and have been diagnosed with cataracts in both eyes, dry eye or keratoconus you may qualify for one of these studies. Are you interested in attending our seminar? Join our FREE informative monthly seminars hosted by Dr. Bucci! Bucci Laser Vision would like to extend an invitation to attend one of our Free Informative Seminars. Dr. Bucci hosts the seminars and thoroughly reviews the process and options of Custom Bladeless LASIK, Multi-Lx Elite™ (multifocal implants) and Cataract* surgeries. In addition to Dry Eye Syndrome. At the conclusion, he will answer questions and address the concerns of attendees. You will also have an opportunity to speak to patients who have experienced treatments performed by Dr. Bucci. Bucci Laser Vision would like to extend an invitation to attend one of our Free Informative Seminars. 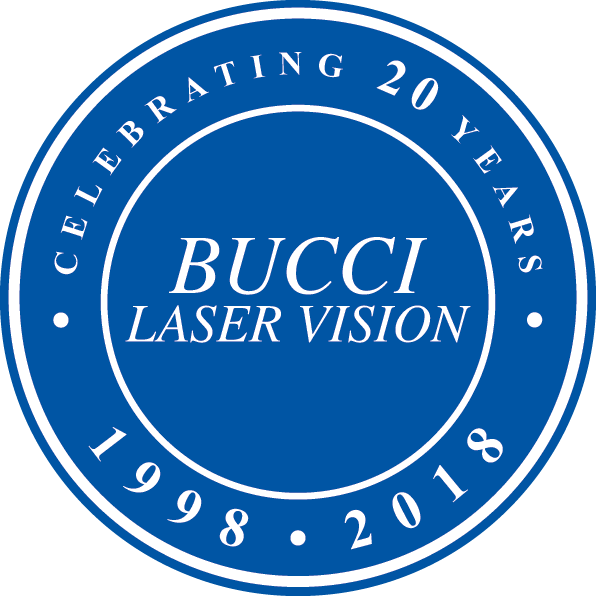 FRANK A. BUCCI, JR., MD CELEBRATES HIS 20TH ANNIVERSARY April 4, 2018 This year marks Dr. Bucci’s 20 year Anniversary having established Bucci Laser Vision Cataract and Refractive Eye Center in 1998. He is our sole surgeon, who has performed over 15,500 refractive and 35,000 microsurgical eye procedures in our state of the art private LASIK suite and Ambulatory Surgery Center. Bucci Laser Vision would like to extend an invitation to attend one of our Free Informative Seminars. Dr. Bucci hosts the seminars and thoroughly reviews the process and options of Custom Bladeless LASIK, Multi-Lx Elit™ (multifocal implants) and Cataract* surgeries. In addition to Dry Eye Syndrome. At the conclusion, he will answer questions and address the concerns of attendees. You will also have an opportunity to speak to patients who have experienced treatments performed by Dr. Bucci. ALPHAEON CREDIT - Your Best You is Closer than You Think! Calculate a payment or APPLY TODAY! With the ALPHAEON CREDIT card, you will find the widest array of monthly payment options to help you reach your individual wellness, beauty, and performance goals. ALPHAEON CREDIT - Your Best You is Closer than You Think! Calculate a payment or APPLY TODAY! The ALPHAEON CREDIT card allows you to move forward today. Plus, with special financing options not always available with other credit cards, you may find the ALPHAEON CREDIT card is a better way to pay. There is an easier way to pay for your vision care including LASIK. We're pleased to accept the CareCredit credit card, North America's leading patient healthcare financing program. CareCredit lets you begin your procedure immediately — then pay for it over time with monthly payments that fit easily into your monthly budget. Whether you're considering LASIK, need cataract surgery, or it's simply time for new glasses or contacts, CareCredit can help you see clearer, sooner. Thank You for your interest in Bucci Laser Vision. Dr. Bucci offers free consultation screening exams to anyone considering refractive surgeries. ALPHAEON CREDIT - Your Best You is Closer than You Think! Calculate a payment or APPLY TODAY! With the ALPHAEON CREDIT card, you will find the widest array of monthly payment options to help you reach your individual wellness, beauty, and performance goals. The ALPHAEON CREDIT card allows you to move forward today. Plus, with special financing options not always available with other credit cards, you may find the ALPHAEON CREDIT card is a better way to pay. Thank You for your interest in Bucci Laser Vision. Dr. Bucci offers free consultation screening exams to anyone considering refractive surgeries. (Unless it is determined that you have a cataract then your insurance company will be billed. )This is a 2 hour fully dilated exam. You must be out of your contact lenses at least 3 days prior, in order to get the best results from this exam. Based on the results and your visual needs he can determine if you are a candidate, and recommend which procedure will deliver the best results, and inform you of the costs. People who don't wear glasses or haven't wore contacts would never understand and would never appreciate this, but I swear it's the best thing that I've ever done, even now sometimes I'll wake up and I'm just so appreciative that I don't have to go through that routine of contacts or glasses anymore. I was a minus 8.75 in both eyes. I encourage anybody who wants to save time, money, and also just for comfort, the whole experience was, phenomenal and I encourage anybody that could do it, do it ! Lasik has impacted my active life in a major way.